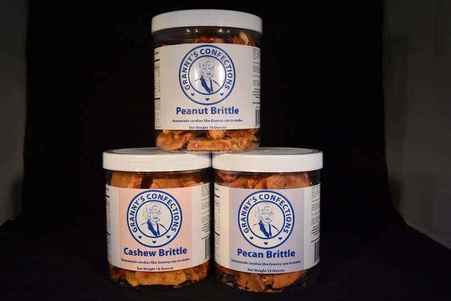 You will be amazed at how something as small as a container of peanut brittle will make such a huge difference. Sometimes, it is the little things that make the most difference. Your team members will appreciate you thinking about them. Our one pound containers of peanut brittle are just what you are looking for. Brittle makes a fantastic gift for your teams. They will not forget the gift they can eat, especially when it tastes so good. Contact us and let us know your needs and we will work to make it a gift to remember. Contact us and let us put together a deal that you cannot refuse. We have special packages for large orders, so please let us know how we can help. Please complete the contact us form. We will get back to you quickly to discuss how we can help. Granny's Confections carries a variety of peanut brittle, pecan brittle, cashew brittle, coconut brittle, peanut patties or pecan pralines. We can customize your order to the needs of your company..